I love weddings! 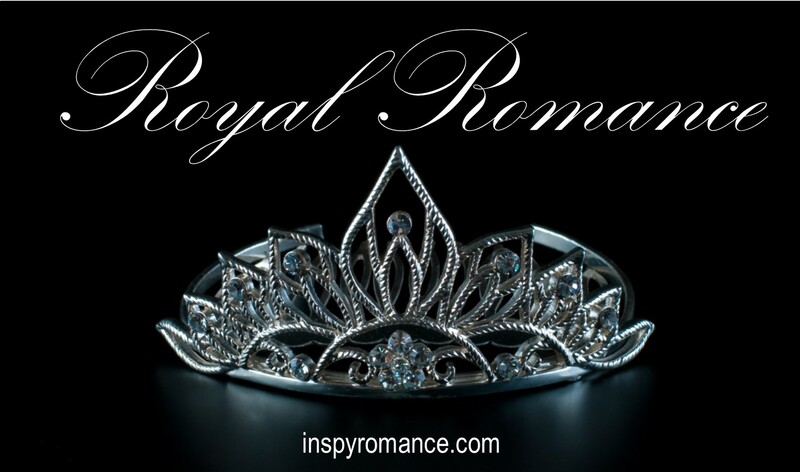 And we all know I love a good royal romance! Make it a royal wedding with all the pomp and circumstance? I’m all over that! I was old enough to watch Prince Charles and Diana Spencer’s wedding, but didn’t. I don’t know why. I’m guessing it wasn’t really my mom’s thing, because it’s not something I would have known about on my own. 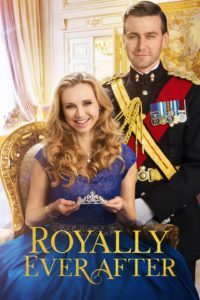 In fact, the first royal wedding I remember was much, much later – about the time I’d started writing my own royalty books. 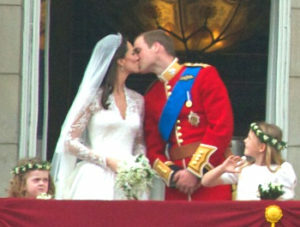 Prince William of Great Britain married Catherine Middleton in 2011. I didn’t watch it live – hello time difference! – but I did record it to watch later. But I watched with someone who wasn’t nearly as interested in watching all the minutia like I was, so I was a bit disappointed in my viewing experience. Since then, I’ve been a bit more attentive to royal weddings, and watched the full eight hours or so of coverage of Prince Carl Philip of Sweden to Sofia Hellqvist in 2015 (as I was out of town, I streamed it later). It was in Swedish, naturally, but I enjoyed it anyway! The Swedish royal family included cameras for the reception and dancing etc. so we got to see more of the inside of the palace which was super cool. I wrote about it for InspyRomance at the time :). This weekend, though… Prince William’s brother Prince Harry is marrying American Meghan Markle (I’m sure most of you are aware of this, of course ;) – it’s all over the internet). The wedding takes place at noon in Great Britain, which is 6am at my house (oy! The Time Zones! ), but I’ll be up. I’ll record the prewedding festivities then wake up in time to stumble to the couch and “live tweet” in the Serenity Landing Book Club group on Facebook. 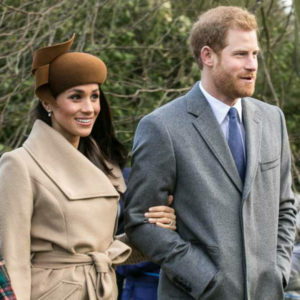 To continue the celebration, I’m getting together with two friends Saturday evening and we’re going to watch a couple of movies – one of Ms. Markle’s Hallmark movies most likely and Royally Ever After, Hallmark’s nod to the royal wedding. You can see pics from the movie here – and I’m LOVING that blue dress! Though I doubt we’ll get too much coverage of anything besides the wedding itself, it’ll still be grand and gorgeous. Later this year, hopefully we’ll have the chance to watch Princess Eugenie marry Jack Brooksbank. My next book, The Indentured Queen, finally tells King Benjamin’s story and will feature a royal wedding, though it probably won’t be nearly as big or grand as this weekend’s is sure to be. But, because of the timing of Prince Harry and Ms. Markle’s wedding, it will appear in The Indentured Queen. Kind of. I wouldn’t presume to put to put my fictional characters at their wedding, but several of the royal heroes and heroines (and future heroes and heroines – and special guest stars!) are in London for the wedding and have a dinner the night before. It was really kind of fun writing that part! I can’t wait for y’all to read it! Will you be watching the wedding Saturday? I’d love to have you join us for the wedding or movie discussions! And this July, be sure to join King Benjamin as he finally gets his redemption! Hi Carol. Australia is part of the British Commonwealth, with Queen Elizabeth II as our Head of State, so there will be plenty of coverage of the wedding- while I won’t watch the whole thing, I will probably watch some of the highlights. My mum is also a bit of a royalist, so I’ve grown up hearing about the British Royal Family from her (my Grandpa was born in England and migrated to Australia as a young adult). I also have to confess to love reading a good royal romance!! 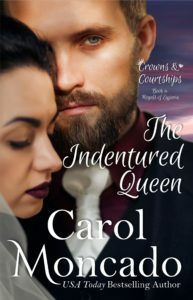 I have preordered The Indentured Queen- have to say, I am looking forward to reading about Benjamin- so far, he doesn’t seem like that great a guy! Hi Wemble! I have to confess… as we get closer watching the highlights sounds nicer than getting up! I do hope Benjamin redeems himself! I think he does – just hope y’all agree with me! Hi Carol!Thanks for your royally inspiring blog. I will probably watch the royal wedding Saturday, since I have always been interested in the British royal family since Princess Diana’s time. I will also be watching the Hallmark movie. Regardless of age, which girl, teen, lady doesn’t dream about being a princess for a day or two? Best wishes on your upcoming release. Hey, Renate! I’m looking forward to the movie! Almost more than the wedding because it’s at a more reasonable hour ;). Hi, Carol! I must admit I did watch Diana and Charles wedding, and Will and Kate’s, and I will probably watch this one as well, just in case I will record it though! I am seriously looking forward to how you are going to make Benjamin come into the person he is meant to be! Recording it sounds better and better, but I’ll be up ;). If I lived in your time zone I would watch, but three AM is too early for me. :) I don’t have the tech to record it. I imagine there will be plenty of clips widely available though. At 3am, I probably just wouldn’t go to bed! I’m sure it’ll be streamable later. I think YouTube is doing a livestream and I think those are usually available afterward. Hi Carol. The wedding will be at 4 am my time and we don’t have tv so it’ll have to be streamed somewhere online for no cost, lol. I’ll probably catch news replays as I did with William and Kate. I did watch Charles and Di’s wedding. I was in Pennsylvania at the time visiting a friend (I was 15 I think) in a gorgeous house. I think YouTube is streaming it and usually make those available later. I’m sure there will be pictures and highlights galore all over the internet by mid-morning Saturday! I’m looking forward to The Indentured Queen! Being in California, I’m not dedicated enough to get up at 3 am :-) I do remember watching Charles & Diana’s wedding. [Just a fun note: my husband remembers getting to watch Queen Elizabeth’s coronation on the first TV in their whole neighborhood!] Enjoy all your watching!! I will be recording it. It’s at 4 am and I need my beauty sleep😊. I usually get up early so I will be all caught up. There you go! I’m sure I’ll be going back to bed for the rest of my beauty sleep! I’ll need to if I’m going to be coherent when I teach at my local ACFW that afternoon! I’ll probably watch clips later in the day, but I’m looking forward to Benjamin’s story. He seems so aloof and somewhat lost so far and I’m waiting for him to come into his own. Maybe you could move up the release date???? I’m not a huge fan of TV or televised weddings though I’m sure I’ll catch clips of it somewhere. Your book, on the other hand, sounds totally captivating! !